Mental maths is in use daily and while children who dislike math from a tender age might not become failures, they tend to have difficulties handling life problems. A part of the brain is responsible for effective calculation and if unexplored, it fails to develop properly. For this reason, it becomes important to teach mental maths to children in the age gap of 5 to 10 years. This in turn improves their ability to use four arithmetic rules in high speed to obtain solutions without the use of any tools. Several factors make this an important part of learning. It creates great concentration levels. Comprehension and calculation capabilities are improved. It creates a better memory and sharp observation. Children develop logical thinking and plotting which is important. One of the most important factors to consider in this process is the manipulation of numbers in the head. Creating number sense is one of the most important steps towards realizing this goal. This is for the simple reason it incorporates estimation, measurement and place value. This concept in turn makes it easy for students to memorize math facts easily. The best manner in which to teach mental maths is to string random numbers together and ask students to find the solution. In order to effect this with ease, it is therefore important to teach children how to conceptualize the mathematical process. As they learn how to carry out these calculations in the mind, speed to find solutions is also established. As students become more accustomed to working with numbers, then it becomes easier to provided times tests. However, if they have not learnt the concepts, it is advisable to stay away from this strategy as it only serves to aggravate the students without delivering any results. At this point, it is important to state that teachers should not use any manipulative techniques to teach students. Rather, they ought to focus on teaching them how to think and reason in a mathematical manner. The most important way of ensuring that mental maths concept is accepted and ingrained in students is by incorporating it into the daily program. Also, note that in mental maths, it is not so much about the duration of the exercise as it is about the frequency of carrying it out. Constant practice is what brings out the best in students. The author has spent a lot of time learning about mental math and other related topics. 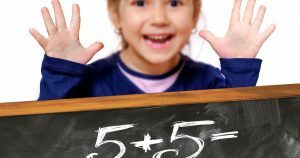 Read more about mental math tricks for kids.